For the life of the elderly, witnessing to the ageless values of patience and wisdom. Like Blessed Mary, may we always say “yes” to Your gift. Help us to realize the sacredness of human life and to respect and cherish it from conception to its natural end. These words are met with such different reactions. Pregnancy can be the most joyful news or a terrifying shock. It can be the answer to many months of prayer and silent desire or something that couples avoid and protect against. God has entrusted to you a child. There are people in your family and community who love you and who will support you in your pregnancy. They know you are scared and they want to help. What Can I Do To Be Pro-Life? Be passionate about the dignity of every human person. Seek out new friendships with neighbours and those who are isolated or on the margins. Pray frequently personally and in groups that you are part of for the respect dignity and reception of all life. Include families, single parents, those who have had abortions your family’s life. Be inclusive of life at all stages. Share stories of how you have been blessed by the gift of life. Learn how to support women and families who have suffered a miscarriage through the Diocesan Office of Marriage and Family Life. Post and share resources, songs, poetry and art that celebrates life. Be an ambassador of life wherever you go! Stand in awe with what your brother or sister in Christ carries rather than in judgment. Smile at and congratulate expecting mothers. Never judge parents by how many or how few children they have. Volunteer at a pro-life resource centre such as: Saskatoon Pregnancy Options. Organize a volunteer drive to provide for the needs of organizations. Ex: diapers, bottles, formula, or clothing for the Food Bank. Donate to a pro-life charity or volunteer your time. Students can choose projects and presentations that celebrate life to evangelize peers and teachers. Learn about life and how to celebrate life through science, culture, history, the arts, nature and mostly through those on the margins. Stand up for people in conversations. Work together and hold respectful discussions especially with those of different viewpoints. Listen for the sake of listening, people need to be heard. Thank God everyday for the gift of Life! The workshop includes important pastoral and practical aspects of what to say, how to listen, and how to be with people who suffer illness, disability and loneliness. It is intended to be a preparatory training for those who would like to spend time with people who are elderly, ill, disabled and dying; those people who are the most vulnerable to the negative influences to Canada’s euthanasia and assisted suicide law. Those interested in hosting a Dying Healed workshop are invited to contact Jacqueline Saretsky at (306) 292-5531 or e-mail jsaretsky@rcdos.ca for more information. 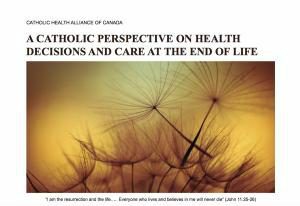 – Catholic Bishops of Saskatchewan, Care for the Dying: Pastoral Guidelines in an Era of Physician Assisted Suicide and Euthanasia. Physician Assisted Suicide / Euthanasia is now legal in Canada. 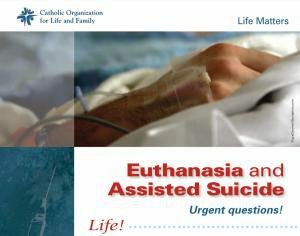 In this series of videos produced in collaboration with the Catholic bishops of Saskatchewan and the Knights of Columbus, explore “Finding the Gifts” of palliative care and elder care in this new era of assisted suicide and euthanasia. 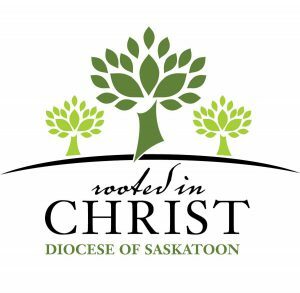 Read what the Saskatchewan bishops wrote about this issue below.